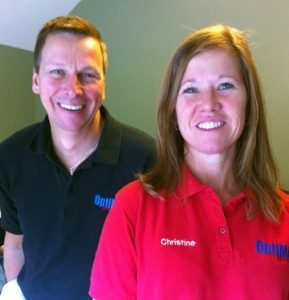 OptiMA, Inc. principals, Christine and Doug Klimavich, are partners in business and partners in life. You might say it was a match made in heaven. The pair met as undergraduates as Bentley University, where each honed different skills that would be critical to their future success. In her role as the company president, Christine’s tax and accounting skills come to the forefront. Doug focuses on the four P’s of marketing: products, place, pricing and promotion. “Being raised in a family of self-employed business people, I observed firsthand the benefits, rewards and challenges of operating your own business. I recognized early on that Doug had the drive and dedication of a business owner – his disposition was all too similar to that of my Dad, who was a general contractor and developer. My parents taught me you can do anything you put your mind to and I knew that with Doug anything was possible. We are gifted with perseverance, patience and follow-through and we make an awesome team.” says Christine. Later, Christine returned to Bentley to earn a master’s degree in taxation, further complementing her business skill set. Her love of teaching also landed her a position as an adjunct professor at Bentley for a few years. “Teaching is a passion of mine – sharing my knowledge and encouraging others to learn is the best! My employees now have the benefit of all my experiences, which I am more than happy to pass on. Our company is a team effort and our greatest resource is our employees – without them, there is no company,” says Christine. Doug learned a good work ethic from his parents, too, both of whom worked multiple jobs. His mom waited on tables at a local restaurant; his dad was a talented commercial artist and sign maker. Doug knew at an early age that he wanted to run his own business. When he was just 10, he got the notion that he could make money picking blackberries and selling them to the local farm stand, and he did. After that, he was hooked. His first job out of college as a part-time shipping clerk at a high-end Boston gourmet house wares firm lasted just three months before he got promoted to warehouse manager. In fairly quick order, he was promoted again to assistant sales manager and then he was asked to help the owner manage a new company he’d purchased, one that dealt with the industrial cleaning supplies that would later become the basis for his own first business venture. Together, they are yin and yang; dependent opposites that keep each other – and the company – in balance. Albert Einstein once defined insanity as doing the same thing over and over again and expecting different results. Here at OptiMA, Inc., we are actively engaged in managing our operations according to Lean Philosophy, a customer-focused process that helps us assure the desired result for our customers every time we take your order. Our goal is to tap employee initiative and innovation to assure that we produce only what is needed, just when it’s needed and in the exact amount needed with only the minimum amount of resources needed. 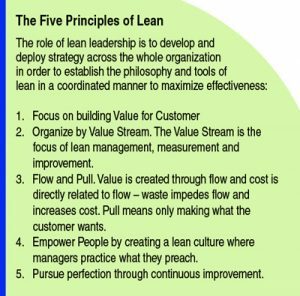 Lean production is a methodology originally developed for Toyota and the manufacturing of automobiles. It is also known as the Toyota Production System or just-in-time production. Engineer Taiichi Ohno is credited with developing the principles of lean production after World War II. His philosophy, which focused on eliminating waste and empowering workers, reduced inventory and improved productivity. Instead of maintaining resources in anticipation of what might be required for future manufacturing, as Henry Ford did with his production line, the management team at Toyota built partnerships with suppliers. In effect, under the direction of Engineer Ohno, Toyota automobiles became made-to-order. And because the company was able make changes quickly, they were often able to respond faster to market demands than their competitors could. That’s a benefit we are hoping to realize here at OptiMA, Inc. so we might serve our customers better, faster and more efficiently. T = Transport Waste. Movement of paperwork in an office environment is a waste. In building out our new space, we sought to minimize the amount of movement by ensuring that all processes are in the same building, on the same floor, and in an open plan environment. I = Inventory Waste. Our aim is to have enough inventory of work in our system to keep things moving along, but not so much that it reduces flow and masks problems. By aiming for information to move through our office “just in time” we minimize the potential for error and help reduce costs. M = Motion Waste. The goal of our new floor plan is to organize our work space to minimize or eliminate “excess” motion that slows down the process. W =Waiting Waste. Our staff is actively engaged in eliminating wasted time, that is, time spent waiting for information from someone else; waiting for a computer screen to refresh; waiting for an approval; waiting for someone to complete one phase of a job before you may complete yours. O = Over-Production Waste. The overall process can only go as fast as the slowest process.<strong> </strong>We aim to only produce what the customer needs or what the next process requires (i.e. the previous process should “pull” work from us, rather than us “pushing” work onto them). By not over-producing we reduce the amount of inventory of work in the pipeline and improve turnaround times. O = Over-Processing Waste. Over-processing occurs when we do something unnecessary that is not required (or appreciated) by our customers. D = Defect Waste. Our aim is to reduce the number of errors, so we can reduce the amount of rework, and in doing so, reduce our costs and our turnaround times. OptiMA, Inc. is a company that has evolved out of a mix of well-timed opportunities and unfortunate events, but if you’re like owners Christine and Doug Klimavich, you believe that everything happens for a reason so you tend to take it all in stride. The OptiMA story begins back in 1986. Doug was working for a national gourmet kitchen supply company. Impressed with his management skills, Doug’s boss asked him to help out with a new company they’d acquired; one that dealt in industrial cleaning supplies. In true “undercover boss” fashion, Doug spent the first week working in the warehouse so he could observe the operations objectively. By the end of the week, he made recommendations that would substantially increase production while eliminating some jobs…including his own. Intrigued by the cleaning product industry and eager to start their own business, Doug stayed on long enough in borrowed office space to learn the product line and on July 4, 1987, he and Chris opened D.C. Distributors in Westboro. 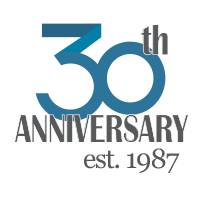 They chose the national holiday – Independence Day — as a sort of personal statement but three months later, on October 19, one of those unfortunate events occurred that affected D.C. Distributors and many other businesses around the country. On what has now come to be known as “Black Monday,” Wall Street experienced the largest one-day drop in stock market history and many of D.C.’s business customers started shuttering their doors. What Do We Need to Get By? By 1991, their business had stabilized and the young couple was thinking about starting a family. Wanting Chris to be a stay-at-home mom, they decided, meant she would have to leave her accounting job with Ernst & Young. One day, while chatting on the phone, Doug asked “just how much money do we need to meet expenses?” $950 a month was Christine’s reply. Just then, a customer called in on the other line asking if Doug could recommend someone to clean his offices. “What’s your cleaning budget?” Doug inquired. $950 a month, the customer replied. And so, D.C. Cleaning Company was born. A short time later, Christine got a phone call from a friend named Heidi. It seems she was a graphic designer and she had been asked to build a website for one of her customers but this was all new technology. What would they think about letting her practice by designing a website for D.C. Distributors? Doug and Chris quickly agreed to let D.C. Distributors be the guinea pig but quickly hit a brick wall trying to decide which of their many products to feature on the website. With so many sales territory issues to consider, building a website that would have national exposure wasn’t as simple as they thought it would be. While they were busy sorting out content issues, something really strange happened: Heidi got struck by lightning. No, really. She wasn’t seriously hurt, but after such a big scare, Heidi headed for the hills every time a storm rolled around and the website project was forgotten. Picking up where Heidi left off, Doug and Chris finally knew what their new e-commerce venture would feature and it had nothing to do with cleaning supplies. After spending their first 10 years in business together selling janitorial supplies, the future course in e-commerce was set and their product would be whiteboards. Doug spent the next few weeks working around the clock, performing his D.C. Cleaners duties during the day and teaching himself HTML at night, sometimes until 2 or 3 in the morning (on dial-up!) so he could finish the website Heidi had started. The first order came in from a local public school system on the same day the website was finally finished and launched. Christine and Doug remember it well. “We lost $55 on freight,” Chris jokes. It turns out it was the right decision. The initial order was soon followed by three more orders in rapid succession. 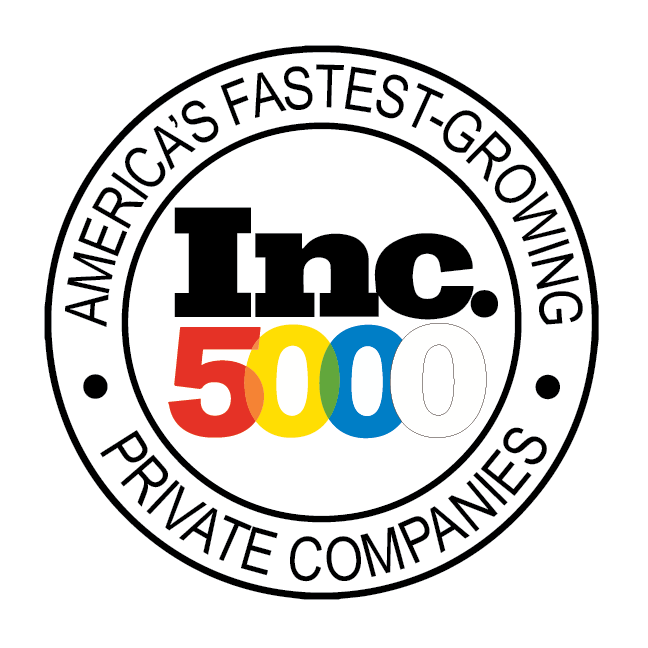 When asked where they heard about the website, customers reported that WhiteboardsEtc.com was the #1 listing on Yahoo. Within three months, D.C. Distributors was closed and OptiMA was born. What started out as a small company with a single website is now a major force in the national visual communication industry. OptiMA, Inc. now owns and operates a collection of e-commerce websites with a focus on visual communication tools, including WhiteboardsEtc.com, MyWhiteboards.com, MatsEtc.com and MyVisualDisplay.com. In 2007, OptiMA, Inc. opened a new division which creates custom printed dry erase boards in-house and offers them on it’s newest website PrintedDryErase.com. 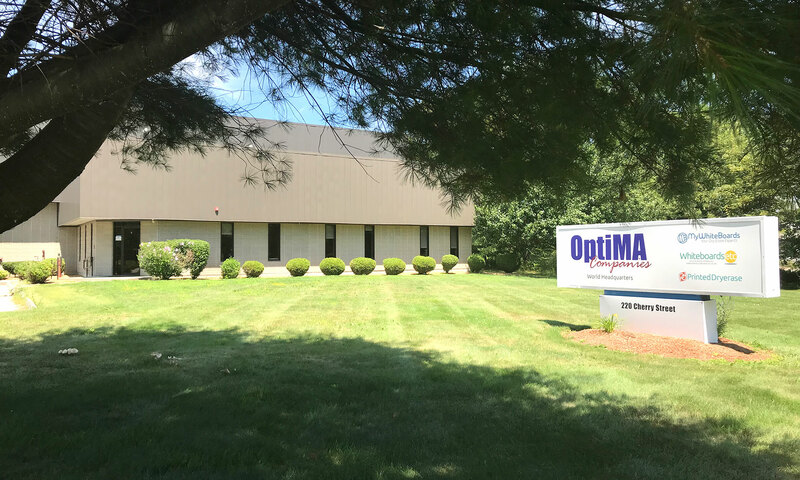 OptiMA’s original one-room office eventually spread into three commercial spaces that have now been brought under one roof in a, state-of-the-art 12,000 square foot combined office and manufacturing facility. As of 2017 this 12,000 square foot facility was now too small and the company has signed an agreement to lease a larger 34,000 square foot facility in the same office park.